Total fouls - Leland 26, Serena 18. Fouled out - Buckhardt, Sanderson, Marshall. The Eagles entered the Leland District Tournament and were rated last of the eight teams. Rollo had defeated Earlville and Paw Paw in the regular season and probably should have been rated ahead of them. Their head coach was Carson DeJarnatt, who went on to be a Hall of Fame wrestling coach at Sterling High School. Rollo had finished the previous season under DeJarnatt with just three wins in 23 games, but was 13-9 starting post season play and had finished 5-5 in Little Ten Conference play. 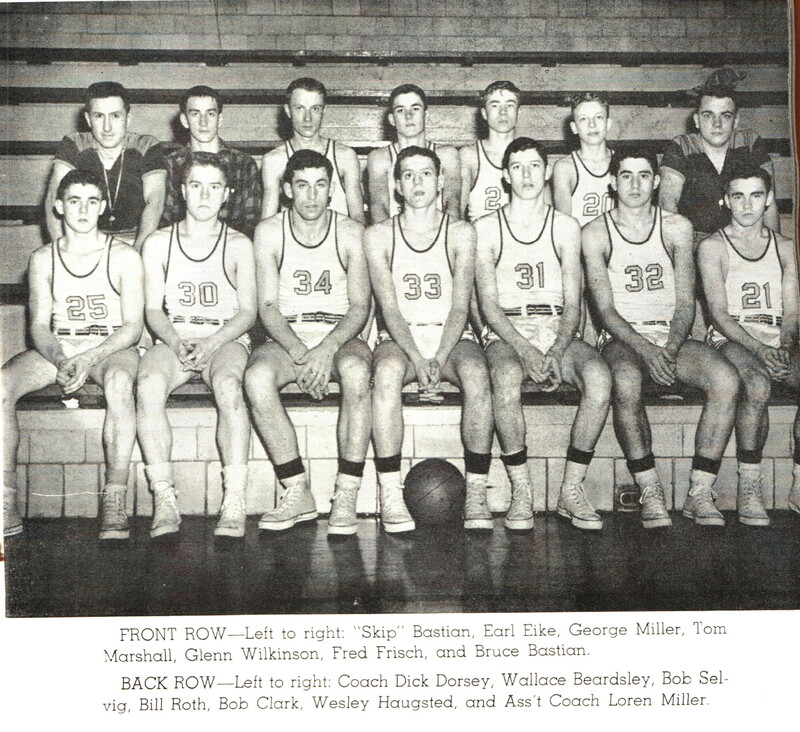 There were ten boys in the school in 1950 and nine actually played basketball, but one was injured at tournament time and two of the remaining eight were freshman and didn’t play much. It was left up to five seniors and one junior to lead the team. In their opening game they were pitted against LTC foe and neighbor to the south Earlville High School. Rollo led at halftime 24-22 and then outscored the Red Raiders 16-7 in the third quarter to own a 40-29 advantage. Earlville cut the lead to seven (40-33) early in the fourth period, but Rollo was able to grab back the momentum and earn a 49-38 victory. Dan Todd led the Eagles with 15 points, Alvin Benson chipped in 12. In the second game of the night, Paw Paw upset second-seed Seneca 39-35 to move on to play Rollo in the semifinals. In their contest against Paw Paw, Rollo held a 11-7 lead after one quarter, but the Bulldogs eventually tied the game at 19-all by halftime. Phil Buland (12 points), Rollo’s center, controlled the lane in the third frame as the Eagles were in front by six points in the final seconds of the third period before Benson nailed a one-handed shot from half court as the gun sounded to bring the Rollo fans to their feet. The Eagles extended their advantage to 41-29 in the initial minutes of the final quarter and held on for a 48-38 win to move them into the title game against defending district tournament champ Minooka. Don Landers backed Buland with 10 points, Todd had eight. Leland, who had upset LTC regular season and tournament champion Serena in the quarterfinals, fell to the much taller Minooka club in the semifinals. The Panthers never led, but hung with the Indians the entire game. Top-seed Minooka used their clear height advantage over Rollo to grab a 26-21 lead at intermission and were still ahead 34-28 entering the final quarter. The Eagles’ Robert Catron opened the fourth with a basket from short range, then Wayne Goldsberry hit one from long distance and Buland followed with a lay up to tie the score. Goldsberry’s basket then gave the underdogs the lead and the Rollo crowd exploded. The Eagles continued to hit baskets from all over the court and totally out-played the Indians in the final minutes; in fact Rollo out-pointed Minooka 19-1 in the final eight minutes and scored 24 of the last 25 points in the game to capture the improbable championship with a 47-35 triumph and a trip to the Ottawa Regional. Buland led Rollo with 15 points, Catron added nine and Goldsberry and Todd eight each. One side note to the game was that Minooka’s sophomore point-guard was Al Stegman. 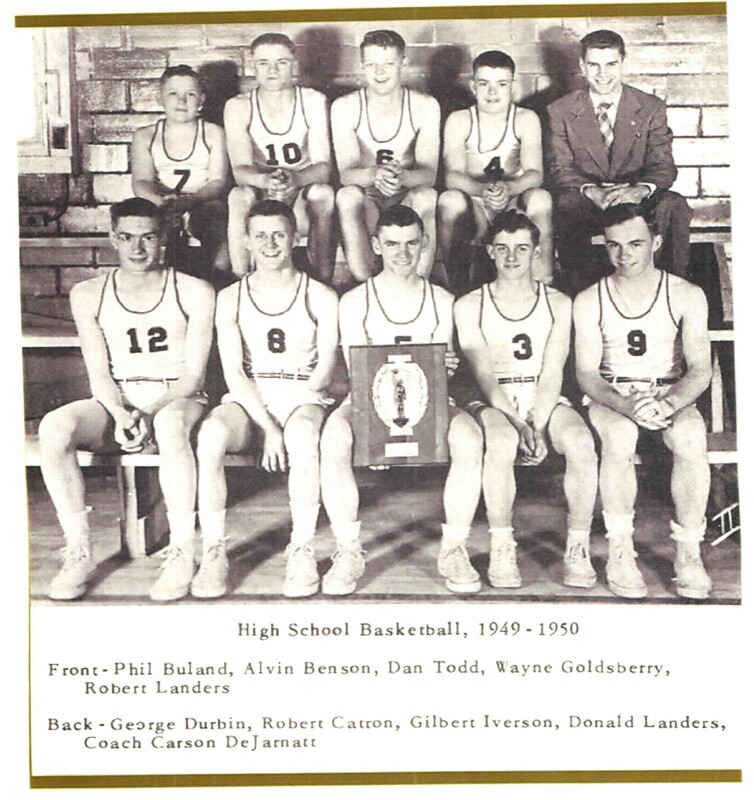 Stegman, a Illinois Basketball Coaches Association Hall of Famer, was a longtime coach at Harding Grade School and Serena High School. He also was Serena’s athletic director for many years and the LTC secretary for over a decade. The day of Rollo’s regional opener against Marseilles a tremendous blizzard hit the area. Many fans thought the game would be cancelled because of the bad weather. The officials from Kankakee couldn’t get to the game, but tournament officials hastily arranged for local Ottawa officials to do the game. The Eagles made the long treacherous trip to Ottawa and had a 47-46 lead in the final moments of the game. However Panther center Mike Trad converted a pair of free throws in the last seconds to end Rollo’s Cinderella season with a 49-47 loss. It was a rough game for one of the officials as well as referee Eddie Chlaus fell and broke a bone in his arm, but continued to call the game. Rollo finished the season with a 16-9 record and of the 47 district tournament champions’ state wide, was probably the smallest and most surprising winners.